At Salvaged Roots, minimalism isn’t a trend, it’s a mantra. As a hair and beauty brand, we believe that true quality is discovered when we return to our roots. Incorporating the best natural ingredients into our blends, our focus is to create while remaining grounded in simplicity. The first all natural pH balanced ACV cleansing detox soak for your locs that safely removes build up, debris, and unwanted odors. The Crown Oil is our NEW golden growth oil that nourishes and softens the hair and scalp. It also helps relieve scalp inflammation, redness and itchiness. Protect your beard with our NEW Salvaged Roots Bourbon Vanilla Beard Oil. Created with the gentleman in mind, this oil features organic Moringa Oil and Jojoba Oil, with subtle notes of jasmine, vanilla and sandalwood. - Moringa Oil (pressed from Moringa Oleifera leaves aka “The Miracle Tree”) is essential as it is antiseptic, helps clear dark spots, acne and dandruff, and is loaded with vitamins and antioxidants. 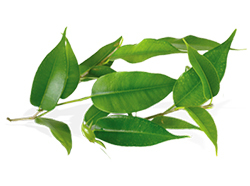 - Jojoba Oil strengthens and moisturizes hair for added protection against breakage and dryness. The Deluxe Men's Gift Box includes 1 Handmade 100% Satin Scarf, 8oz Crown Oil, 1oz Beard Oil, 2oz Beard Balm (not pictured) and 8oz Whipped Shea Butter great for both hair and body. The box is delivered hand wrapped with red satin into a Tiffany bow and is guaranteed to impress. It's the NEW perfect gift for husbands, boyfriends, brothers, friends alike. This hydrating blend of Avocado, Shea Nut, and Coconut oils penetrates and nourishes the scalp, while Jojoba oil protects the hair, locking in moisture. 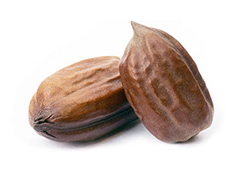 Jojoba Oil also promotes hair growth as it mimics our natural sebum, and removes dandruff and build up. Tea Tree and Peppermint essential oils packed with anti-inflammatory, antibacterial, and moisturizing properties leave scalp feeling stimulated, relieved and REVIVED. Soothes itchy irritated scalp. For All Hair Types. If redness, burning, or irritation occurs, discontinue use and consult your doctor. Ingredients: Jojoba Oil, Coconut Oil, Shea Nut Oil, Avocado Oil Peppermint Essential Oil, and Tea Tree Essential Oil.